Memories act as the evidence of your existence and of your history. It can be about something mundane, like your first hair colour, or something significant, like your child’s college graduation. You strive to take photos of the event to preserve it; even going so far as having your kid’s photos professionally edited to mirror the grandeur of the event. Over time, however, memories shift and change due to mental revision. Significant memories stand out, while others fade into the background, forgotten. Memories tell your life story as they happened, so it’s important to document it any way you can. You’ve probably heard about how it’s better to live in the moment and to avoid documenting every single event of your life on social media. But it’s definitely more than just that. Documenting the events in your life allows you to remember it in great detail, and to be able to share that specific event with others— even with those who weren’t there. Memories immortalised through technology — photographs, videos and blogs are the easiest to remember and revisit. You can access them after just a few clicks, and they don’t fade away with time. These mediums are also the most visual, often documenting your life events. Blogs may contain a detailed account of what has happened; complete with pictures and videos to visualise your stories. You can also preserve memories the old fashioned way: through print. You can make scrapbooks and collages out of printed photos and physical memorabilia from the event. For example, you can make a scrapbook out of your dates with your husband featuring photos, movie tickets and flower petals; creative mementoes of those romantic evenings. 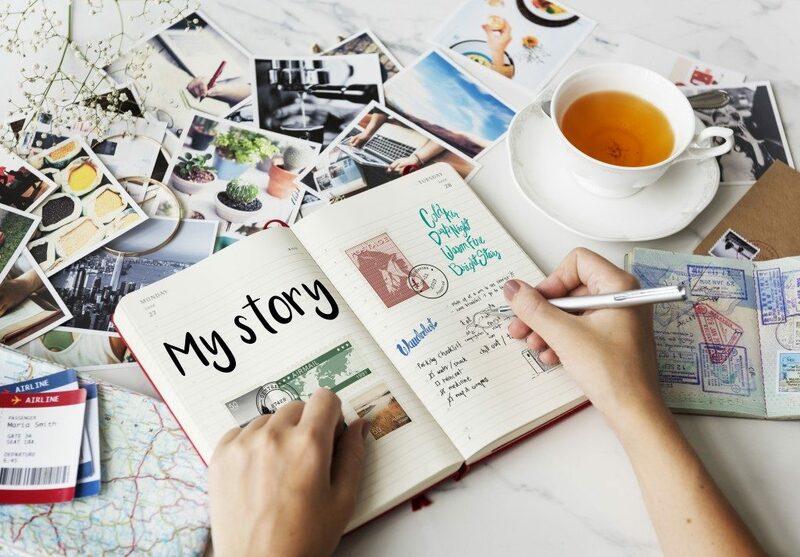 Another way to creatively preserve your memories is through a journal. Thoughts, emotions and significant events you write on paper for you to revisit anytime. Why Should You Preserve Your Memories? Studies show that unless you’re emotionally invested in a topic or an event, you’re most likely to forget it at the end of the day. Survival instincts deeply rooted in primitive times allows you to remember anything that may cause you harm to prevent you from getting hurt again in the future. Otherwise, your attention span only lasts about 20 minutes. Short-term memory only holds seven pieces of information for about 20 seconds. Any further from that amount of time results in a decrease of information retained. Additionally, there’s a tendency for your brain to ‘delete’ unpleasant memories, so there’s always a chance that what’s stored purely in your thoughts is inaccurate. With emotions and other thoughts meddling with your memories, certain events you remember so clearly in your head may not be accurate. This is where immortalising your memories come in handy. Preserving your memories through any means — digital, print and miscellaneous — doesn’t retract from its original purpose. You preserve memories to share your stories to others and connect with them. You record important life events to look back and reminisce when it suits you. In this day and age, when everything moves forward in the blink of an eye, it’s important to recollect what has transpired through photos, videos and any other medium.